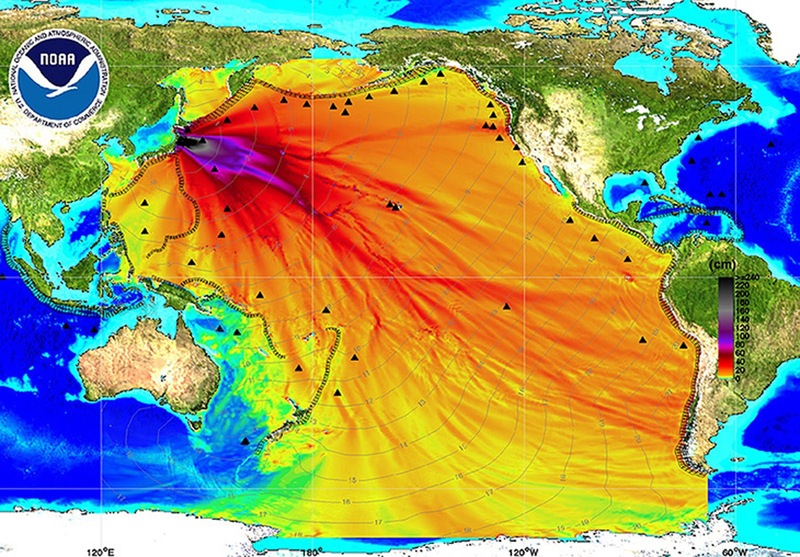 An energy map provided by the National Oceanic and Atmospheric Administration (NOAA) shows the intensity of the tsunami in the Pacific Ocean caused by the magnitude 8.9 earthquake which struck Japan on March 11, 2011. Thousands of people fled their homes along the Pacific coast of North and South America on Friday as a tsunami triggered by Japan’s massive earthquake reached the region but appeared to spare it from major damage. This post was republished from trueactivist.com. You can find the original post here.